New York, NY: Permuted Press, 2018. 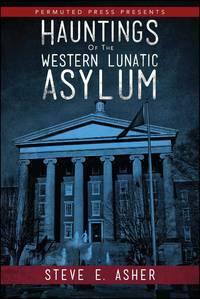 Second book in Asher's trilogy of paranormal actvity in Kentucky institutions A blend of fiction, legend, and collected stories of the lingering horror left behind in Kentucky's 170 year old mental institution located in Hopkinsville, Ky. New, clean, square book.. First Printing. Trade Paperback. As New. 8vo - over 7¾" - 9¾" tall.